Curt comes from Birmingham but has been living rough in the Milton Keynes area for five years. What you see is his home – he apologised to me for it being a bit messy. I apologised to him because I have let him down by not shouting louder. This image is not sharp, I know, but then I thought well many of us do not see the homeless and poor – they hover in the periphery of our vision, physical and mental, and so if they are not clear we can ignore them. 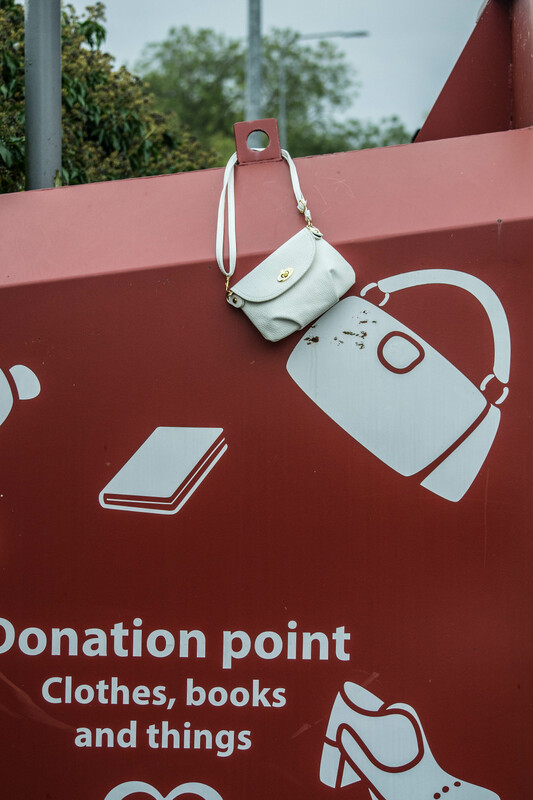 I spotted this in a car park in Stamford, Lincolnshire, and it made me smile at the thought of someone just doing this. 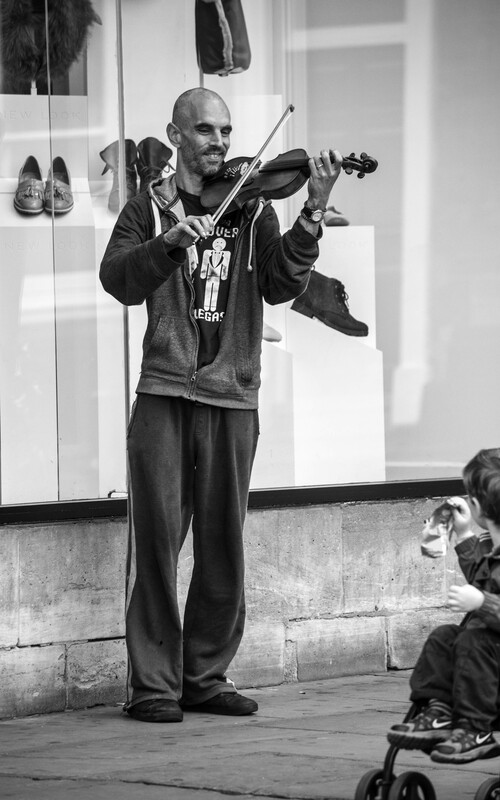 It was a delight to hear him play the violin – a really lovely man whose luck seems to have run out on him. But his smile for the child is heartwarming.